Hutchinson wins round two. 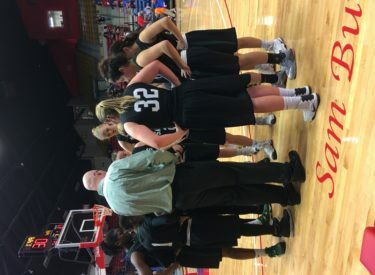 The fifth ranked Lady Dragons beat fourth ranked Seward 74-47 Wednesday night at the Hutchinson Sports Arena. Seward win in overtime in Liberal November 12. The Lady Saints led 13-8 and led 13-12 after one quarter. Hutch outscored SCCC 20-14 in the second and led 32-27 at the half. The Lady Dragons out paced SCCC 22-9 in the third and 42-20 in the half. HCC out rebounded SCCC 31-20. Hutch shot 56 percent and made 8-16 three pointers while Seward shot 42 percent. Seward and Hutchinson are tied for first and are both 17-1 and 13-1 in the Jayhawk. Seward hosts Butler Saturday night at 6 in the Green House. The game airs on 107.5 and kscbnews.net with Saints Shootaround at 5:45.